Originally posted by pvernaglia at weblicating.com. Often a client wants a Footer Menu that has some pages from their Main Menu (in the header) and other pages that are excluded from the Main Menu. With a simple modification to an Auto-Nav template and a Checkbox Page Attribute, you can have this customizable Footer Menu. 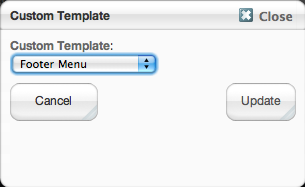 Save that file and go into Dashboard - Pages and Themes - Attributes and add a new Check Box Attribute called "Include in Footer Menu"
Go to Dashboard - Sitemap and in the property settings for any page that you want to appear in the Footer Menu add the attribute "Include in Footer Menu". 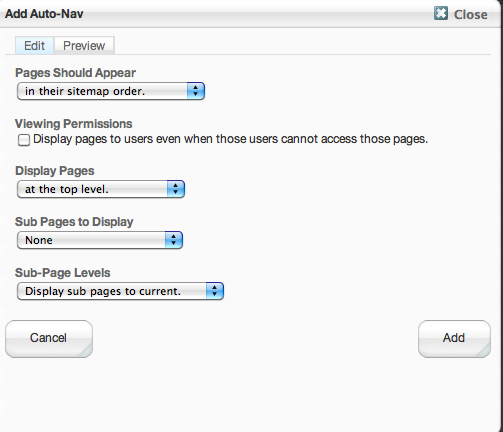 Select the Custom Template "Footer Menu" for your Auto-Nav block.